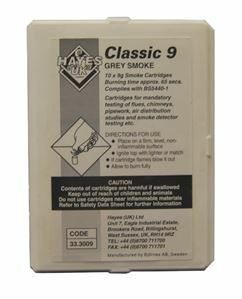 10 x 9g grey smoke cartridges in PP plastic sheath. Supplied in a re-sealable plastic pack. Used for air flow testing of chimneys, flues and ventilation systems.